​Goetze's Strawberry Cow Tales® are made of a chewy, strawberry caramel filled with the same delicious, white center as Goetze's Vanilla Cow Tales®. 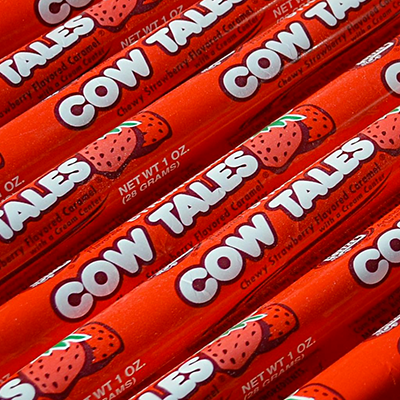 Strawberry Cow Tales® are available in the original 1oz snack stick size at various retailers. 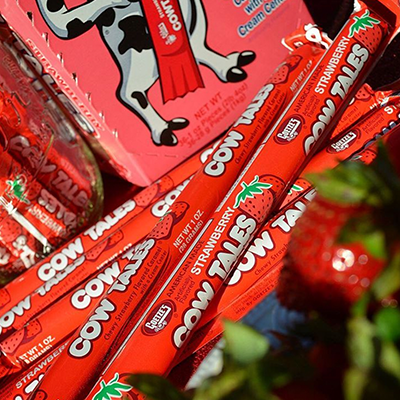 Visit our "where to find" page to find Strawberry Cow Tales® in a store near you. 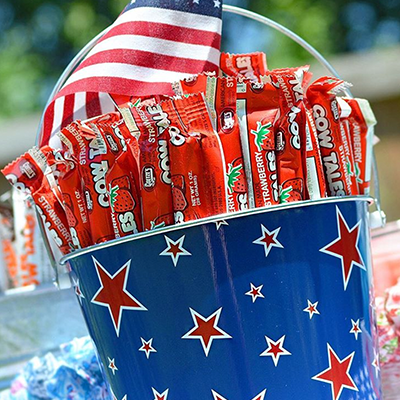 To order online, fresh from the factory, visit Goetze's Candy Company's online store. 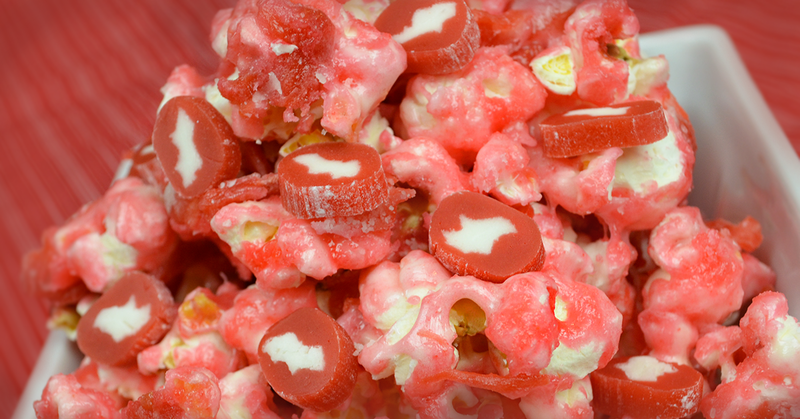 ​For your next game night, add Goetze's Strawberry Cow Tales® to freshly popped popcorn! Fun and easy! 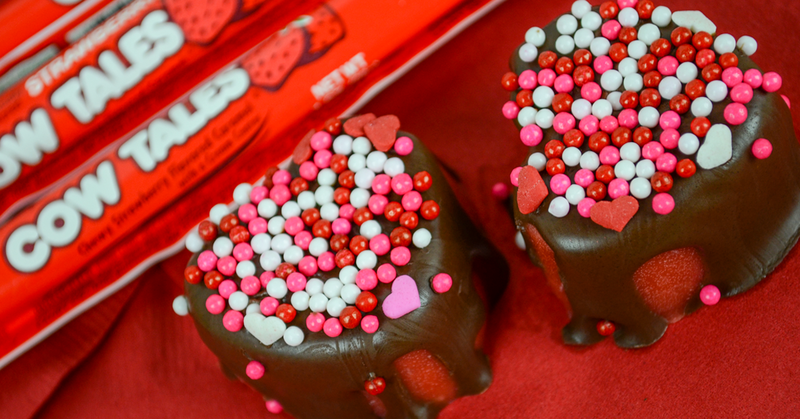 Make chocolate covered candy hearts with Strawberry Cow Tales®. 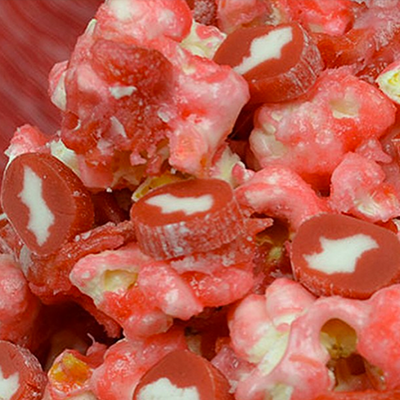 Where can you find Strawberry Cow Tales®? To find Strawberry Cow Tales® in a store near you, try our product locator!